Through the years, we here at DN have revelled in the rich expansion of music video as art form – be that the meta shoot disaster narrative, the relationship wrecking computer trojan or the docufiction hybrid. Taking up the format reconfiguration reins comes Kyle Lewis whose recent project sees the South African Writer/Director combining three tracks (Don’t Do It, Phases, and Good Girls and Snapchat Hoes) from rapper Nasty C’s latest album into captivating 14-minute music video package Bad Hair. DN spoke to Kyle about mapping out Nasty C’s journey of past, present and future in this music video triumvirate. You’ve said that you didn’t get too much out of your time at film school, yet today are regarded as a leading music video director in South Africa. How then did you go about establishing a name for yourself? The real world taught me everything I know now. Having said that, film school did award me lifelong collaborators and contacts, which I am so grateful for. I got myself out there by starting my own little company, Dirty Soul Productions. After that, I pushed and probably annoyed every agency and record label. My passion for what I do pushed me forward and every rejection or non-reply only made me more hungry. Doing things my own way in the beginning has awarded me a career I’m so happy about. I am now with Arcade Content, where I have grown massively. We’re continuing to push boundaries together but we still have a long way to go. A 14-minute, 3 part music video is quite an audacious project to undertake. I was so over the moon when Nasty approached me to do this project. He gave me complete creative freedom; he just sat me down and told me his journey and that inspired me to make the film. Music videos are evolving and changing mediums, which is so exciting, especially for a filmmaker. They have become a platform to express your art and your views; it’s so humbling and incredible to have an audience listen and challenge themselves. All three of videos take place within a single location respectively, what production/post techniques did you use to avoid a feeling of visual restriction? I wanted there to be a sense of simplicity in each scene, although that’s never simple to get to. I also wanted a balance of an art film and a hip hop video, to prove there’s a space in between where self-expression can happen in an original and fresh way. We shot the entire project on the Phantom Flex. I liked the idea of using a camera built for high-speed photography as a 25fps narrative. Editing and post effects are there to further distort the image to deconstruct the ideas in each narrative. For example, in Phases, we used a glitch effect to show inner turmoil and the different phases your mind goes through. What larger meaning do the abstract effects snippets hold outside of providing buffers between the main sections? The snippet effects represent Nasty being shaped. We open with him being born and molded. We then see him being manufactured, using facial scans, which he ultimately breaks out of to be his true and honest self. Music videos are evolving and changing mediums, which is so exciting, especially for a filmmaker. Could you speak to the dichotomy of having these fierce woman mouth the lyrics of Good Girls. What was your intention there? I have always been concerned about the depiction of women in hip hop culture and how they are objectified. With Good Girls, I wanted to challenge that. I wanted these empowered figures to take ownership of the derogatory lyrics and no longer give the words power or truth. Woman are such a precious gift to the human race and I love how multifaceted and powerful they are. How do you feel the South African music video scene has been progressing in recent years at home and beyond? South Africa has such incredible, original raw creativity. We are entering an age where we no longer look to other countries to tell us how we should be or think. We are accepting our own voice and it’s so exciting. I see huge growth for music videos here as the youth want to see a local voice and a local view. 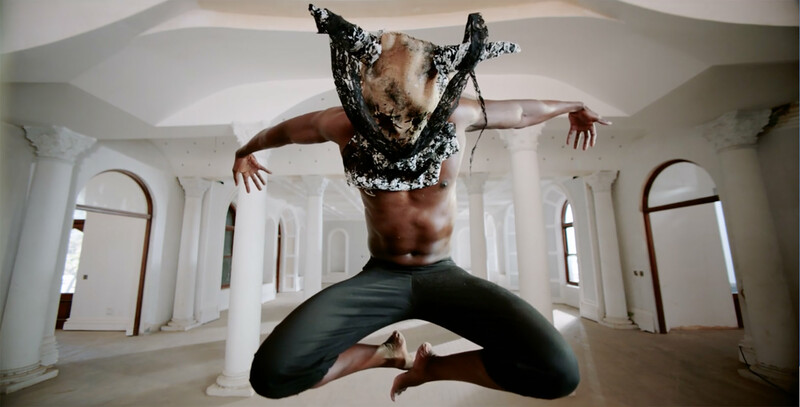 I have an exciting project coming up with South African hip hop star Khuli Chana, where we are exploring different mediums to premiere our films and mixing technology with raw artistry. We want to use alternative means of showcasing the project and not only depend on YouTube for exposure. And finally, are there any artists sitting atop your music video wish list at the moment? There are hundreds I respect and admire for different reasons, with Kylie Minogue at the top of the list of who I’d love to work with. At the moment I’ve been working with the artist Pure, who’s featured in Good Girls. There’s something incredibly raw and vulnerable about her music, I haven’t been inspired by music as much in a long time. We are establishing a creative collaboration, which started with the project No Secrets.